Making fresh cheese at home is easier than you think. Most fresh cheese recipes only require a handful of ingredients including milk, an acid, and sometimes rennet. Rennet is an enzyme that occurs naturally in young mammals stomachs to help them digest their mother's milk. It's crucial to cheese making because it the agent that separate the curds from the whey. It can be purchased online. Vegetable rennets are also available for vegetarian cheese makers. Rennet has a lengthy shelf life, sometimes up to six months so that you can make several batches of cheese. The key to making excellent cheese is using excellent milk. Whether it's goat, cow, or sheep's milk, make sure it comes from a quality source. If you are willing to splurge on good cheese at the market, then invest a little more in the milk. Other equipment needed to make cheese is a thermometer to monitor the milk's temperature and cheesecloth to help mold the cheese and allow the excess whey to drain. If you've never made your cheese before, you're in for a real treat. 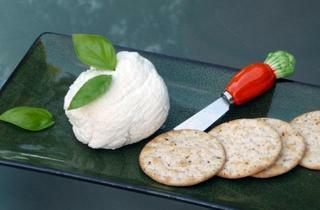 Herbed goat cheese is delicious spread on saltwater crackers or crumbled over a fresh green salad. Add this freshly made ricotta cheese to your famous lasagna or manicotti. 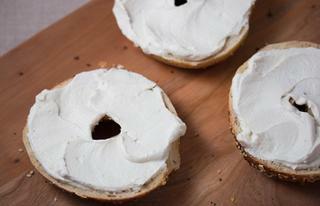 Homemade cream cheese will make your bagels sing and your carrot cake dance on your taste buds. 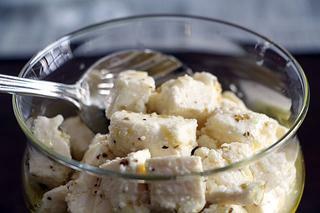 Cover your homemade feta cheese in olive oil and marinate it in your favorite herbs and spices. Halloumi is absolutely delicious when it's its charred on the grill. Serve grilled halloumi as a simple appetizer with a drizzle of honey.